The SSOC is made up of pupils from Year 6, they meet each term to determine ways to increase participation and enjoyment through sport at the school. Together these children form a fundamental role in supporting the PE and School Sports in their school, whilst developing their own leadership and communication skills. 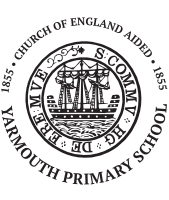 Yarmouth achieved the Gold Award in the Sainsbury’s School Games for our P.E. and extra curricular activities in the school year 2017-18!! Well done to everyone involved in promoting and delivering quality PE every week and offering and delivering a range of extra curricular activities. These are some of the photos from the Gold Mark celebration event at West Wight Sports Centre for all the island schools who achieved the gold Mark in 2016-17.